Cheer on your favorite team and stay toasty warm wearing the San Jose Sharks Hooded Fleece Scarf. 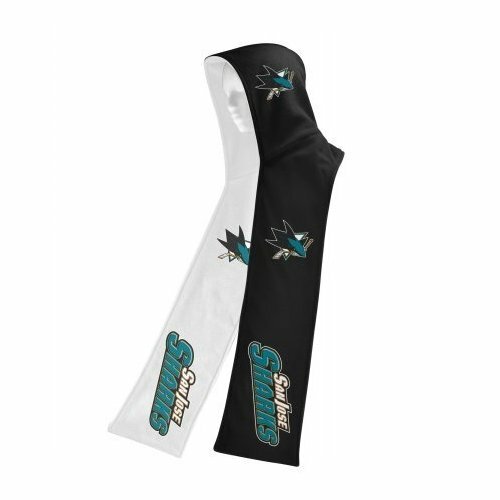 The 100% polyester warm fleece scarf has a screen printed Sharks logo on the right side of the hood along with the Sharks team name and logo screen printed on the scarf. Two tone reversible. Black & White! 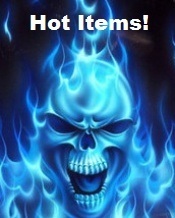 This cool looking scarf also has a hidden zippered pocket. Great for keeping cash, wallet, or cell phone handy with you.